Space – Likewise, you’ll get seating for five, as well as between 70.6 and 73.4 cubic feet of cargo volume behind the front-row seats and 60/40 split, reclining, fold-flat seats. Tech – Finally, you can look forward to Entune premium JBL Audio, which features 11 JBL GreenEdge speakers as well as a subwoofer and auxiliary jacks. 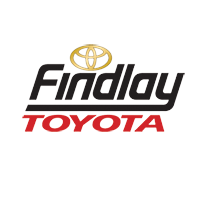 Why Buy a Used Toyota SUV from Findlay Toyota? One reason above all: price. Alongside of our financing deals and our trade-in arrangements, we can give you some unbeatable low prices to boot. So hop in your car and head on over to Findlay Toyota to enjoy best in Toyota deals for our much-loved used vehicles!